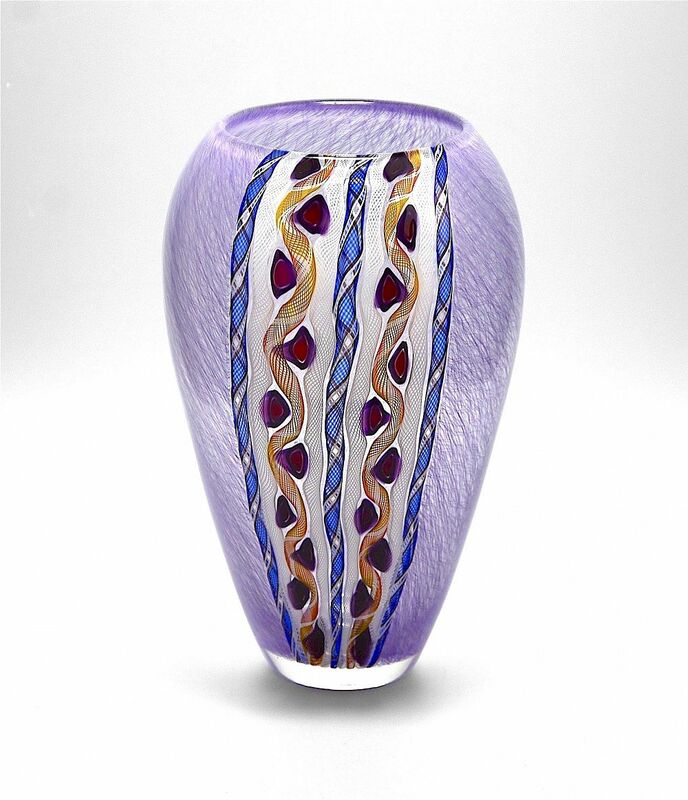 This gorgeous vase was made by Michael Hunter for Twists Glass in 2013. It is made of purple merletto cane with a "flash" of peacock pattern running down the front. The flash is made of zanfirico & murrine canes of various colours with the red & purple murrine canes set amongst the twisted zanfirico canes to mimic the patterns in a peacock's tail. The underside of the base is scratch signed "M Hunter Twists 13" and has the Twists Glass studio label.